The rantings of a bibliophile, foodie, and crafting geek. Wow, it’s already August! I don’t know about the rest of you, but I am so ready for the weather to cool off. I live in the South United States and it has been hot and sticky here for about two and a half months now. This will be a pretty short post because I just didn’t get much read this month. Between helping my husband find a job and dealing with a family emergency, it was too stressful to really concentrate on much else. I did manage to get five books read, three of which are in my top reads. Teenager Romy Silvers is the first person to be born in space. She has never set foot on the planet Earth. Along with her parents, she is part of a mission to colonize a new planet Earth, which will take decades for their spaceship to reach. The unthinkable happens, and Romy is left all alone, with just occasional audio messages from her therapist on Earth to keep her company. One day she receives a new message, from a boy, in a new spaceship headed to join her. She is overjoyed to have someone else to talk to, but can she really trust him? I read this book in around 24 hours. It reminded me a lot of The Martian by Andy Weir. It was fast paced and suspenseful with a little bit of romance. This was probably my favorite of the books I read this month. After I finished, I wanted more, and was informed by the author, Lauren James, that there will be a sequel. I gave this 4 out of 5 stars. Neve comes across a troubled woman called Isabelle on Waterloo Bridge late one night. Isabelle forces a parcel into Neve’s hands and jumps to her death in the icy Thames below. 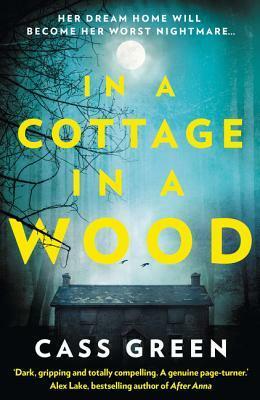 Two weeks later, as Neve’s wreck of a life in London collapses, an unexpected lifeline falls into her lap – a charming cottage in Cornwall left to her by Isabelle, the woman on the bridge. The solution to all her problems. This was recommended to me by a coworker, who happens to be British. I am really getting into these British thrillers. Does anyone else imagine the characters having British accents and can actually hear them speaking in their mind? Or am I just weird like that? I really enjoyed being creeped out by this book. It really kept me guessing and I was totally unprepared for the ending. I gave this 4 out of 5 stars. The story begins with a man on a beach. He doesn’t know his name or how he got there. Single mom Alice takes pity on him and invites him to stay in her shed until he can remember who he is. 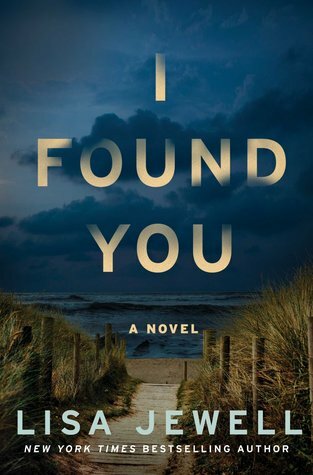 Meanwhile, in another part of the country, new wife Lily is frantically looking for her missing husband, who the police tell her never existed in the first place. This book is brimming with secrets and lies that will blow the reader away. I adored this story and its characters. Jewell really portrayed the characters in a way that made me care about them as if they were real people. I look forward to reading her other books. I gave this 4 out of 5 stars. I hope to get more read in the month of August. I have quite a few review requests to get through from a few different genres, so stay tuned! You had some quality reading last month with all 4-star ratings, that’s wonderful! Happy reading this month. 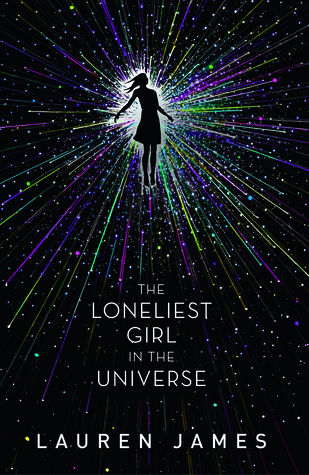 I just checked out The Loneliest Girl in the Universe today, before seeing your post! Thanks for the review. I am getting more interested in sci-fi themes other than dystopian.